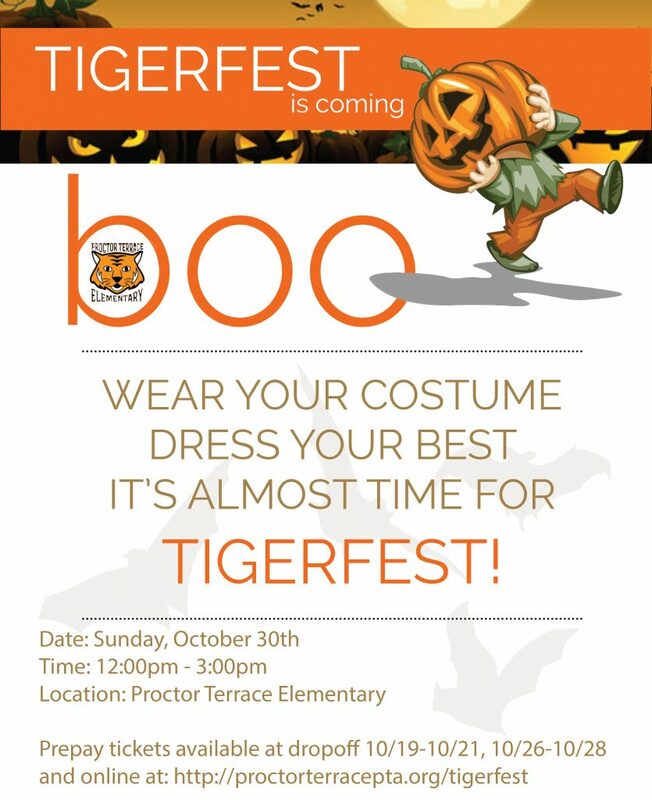 Tigerfest is right around the corner- October 30th to be exact! Look for the flyer in student folders this week. This fun, family friendly event can not be possible without your help! Parents, Aunts, Uncles OR Grandparents are ALL welcome to volunteer!! Donate Candy, Small Prizes, Stickers, Pencils or Small Snacks!- Drop any donation items in the large “CANDY” bucket near the front office. Stay tuned for more exciting information coming soon for Tigerfest 2016!! Pre-pay tickets are available at 33% discount online from now until October 30th.Pre-pay tickets will be available on the blacktop during dropoff on October 19, 20, 21, 26, 27, 28. Can’t wait to see you there!